Writing for Arab News on Sunday, January 6th, Dr. Majid Rafizadeh, a leading expert on Iran and Harvard-educated Iranian political scientist, outlined the case for international support for the Iranian opposition in 2019. In his piece, Rafizadeh charted 2018’s year of protests. He described the nationwide uprisings in January 2018, that engulfed 142 Iranian towns and cities, and how they were “met by the regime with brutality and a harsh crackdown”. Following the uprising, strikes and protests across the country were maintained by the opposition. “In July, a major five-day anti-government protest spread across dozens of cities”, he writes. Then again in August, Tehran and 26 other cities were racked with protests once more. As the year came to a close, in October, a nationwide teachers’ strike saw schools close in over 100 cities, and then again in December. In the logistics and transport sector, the nation’s truck drivers have launched strikes and protests of their own throughout the year. October 15#Iran's teachers are on nationwide strike for the second consecutive day. Rafizadeh pointed out that the protest movement expanded in 2018. Protests became more frequent and more explicitly anti-regime in nature. In response, the regime has blamed the People’s Mojahedin Organisation of Iran (PMOI / MEK) and launched a vicious smear campaign against the group, in conjunction with a violent campaign of terror and intimidation, in an attempt to curb the MEK’s influence. Its “crucial organizational role has made the opposition a primary target for a spate of attempted terror attacks,” Rafizadeh writes. He cites the foiled terror attack in Paris, as just one example of this coordinated campaign of terror against the group. “That attack and others have thankfully been foiled, but the message from Tehran is clear— as the is the extent to which the mullahs feel threatened by the opposition,” Rafizadeh states. Nothing demonstrates the existential threat the MEK poses to the mullahs’ regime more than the regime’s willingness to risk political isolation on the international stage for the sake of attacking an opposition, pro-democracy group. The MEK is an increasingly large threat to the mullahs’ future in power. It has successfully mobilized all parts of Iranian society and engaged the Iranian people in the protest movement. From the urban middle class to the rural working class, all stratum of Iranian society is represented in the MEK’s ranks, even poorer sectors that have traditionally been the regime’s power base. “Every protest is an act of defiance,” Rafizadeh writes. The MEK has found plenty of allies among the cash-strapped Iranian public. Years of regime economic mismanagement has crippled the Iranian economy and reduced the purchasing power of ordinary Iranians. Rafizadeh asserts that the Iranian opposition has much to celebrate. 2018 “was the most significant to date for the Iranian resistance”, he writes, but “this year promises to be even more vital in the struggle for freedom and human rights in Iran”. Rafizadeh concludes by encouraging Iranians to “make this the year that Western governments come out in support of the Iranian resistance”. 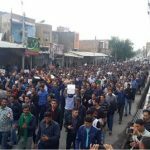 The Ahvaz Steel workers protest against the lack of payment and regime’s repressive measure against protesting workers. 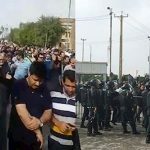 Following the arrest and torture of a number of their colleagues, the Iran National Steel Industrial Group (INSIG) released a statement condemning the brutal acts of violence and aggression carried out at the behest of the Iranian regime. 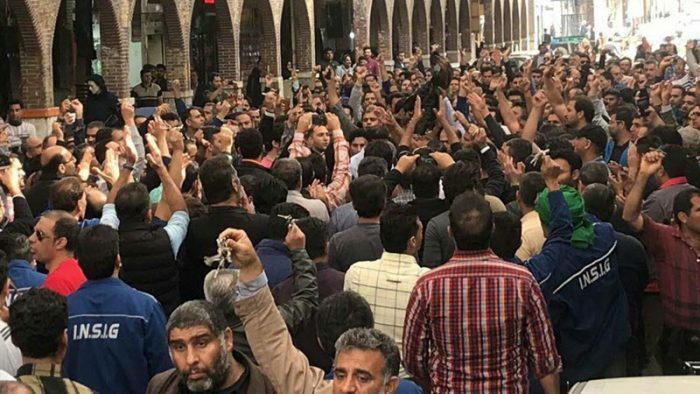 In their statement, the workers lamented that their once-thriving factory in Ahvaz had been reduced to little more than a military base where regime agents summoned and threatened activists at their whim. The group said that since 2016, it has witnessed despicable threatening behavior by regime security authorities, including, “arrests, prison, torture and preventing our colleagues from coming to work”. INSIG is Iran’s largest producer and exporter of steel and employs a significant portion of the Ahvaz workforce. In recent months, this workforce has laid down their tools and left their place of work in a display of anger over unpaid wages, decreased workers’ rights, limited job security, and corruption amongst the company management. The workers have referred to the company director and his allies as “the mafia” due to their extensive network of corruption and greed with little regard for the hardworking workforce that depends on the company for their livelihood. The steelworkers’ protests drew attention from across the Iranian population. Students in Tehran pledged their support to the workers, as did the Iranian opposition and the People’s Mujahedin Organisation of Iran (MEK). 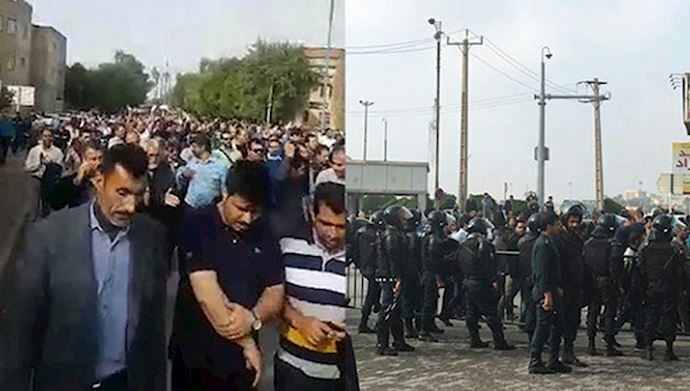 Out of fear that the steelworkers’ protest would spread to other segments of the Iranian population, the regime administered a violent crackdown against the striking INSIG workers. Regime agents raided the properties of known protestors during the night and carted them off to prison where they face torture and inhumane conditions. Augusta Free Press published a refute of a Guardian article by Dr. Daniel M. Zucker, founder of Americans for Democracy in the Middle East and prominent author on Middle Eastern politics. 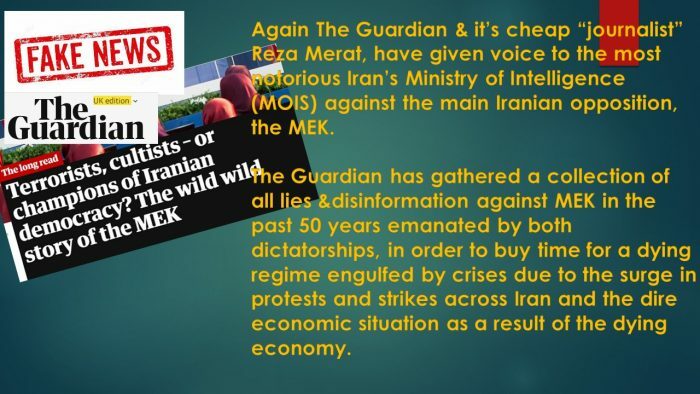 In the final months of 2018, British newspaper the Guardian published a hit piece against the Iranian opposition group, the People’s Mujahedin Organisation of Iran (MEK). 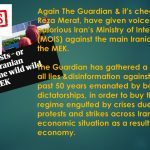 The piece, published by Arron Reza Merat, a known regime affiliate, pedaled regime mistruths and lies in an attempt to influence public opinion against the Iranian opposition. Zucker describes how the Iranian Ministry of Security (MOIS) took a leaf from the Russian KGB in its disinformation procedures. It combines truths with lies. The truths provide “authenticity” and provide facts the regime can point to when it is questioned by critics. But it also sews substantial and glaring lies into the narrative, deliberately designed to deceive and manipulate. The Guardian’s piece contained a litany of these mistruths deliberately fed into the text. 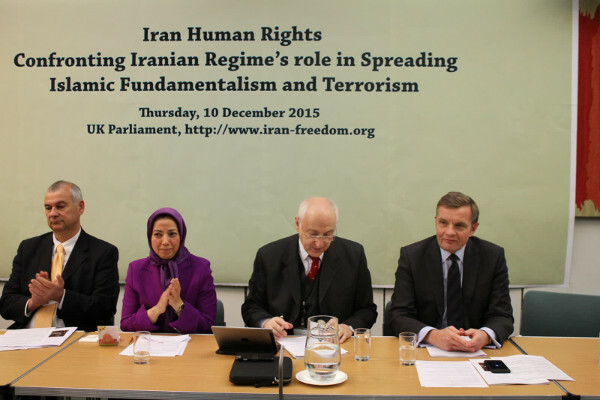 It regurgitated the regime claim that the MEK murdered several US citizens in the 1970s. The claim has often been brought against the group, but it has been publicly disproved several times. Zucker asserts that the murders were carried out at a time when the MEK leadership was in regime custody. A Marxist splinter group known as Peykar has already been held accountable for the murders. The piece also explains about the MEK taking up weapons to fight the Iranian regime after the mullahs’ regime imposed absolute repression. The MEK took up arms to defend itself after Khomeini [regime Supreme Leader] had ordered the Islamic Revolutionary Guards Corps (IRGC) to open fire on 500,000 peaceful MEK supporters during the June 20, 1981, peaceful demonstration in Tehran. Hundreds of Iranian citizens, supporters of MEK were killed in the onslaught. The MEK in Iraq took up arms to defend their defenseless Iranian compatriots. The regime likes to pedal the lie that the MEK was involved in the 1988 gassing of the Halajab Kurds, but again, this is untrue. The Iraqi foreign minister, who is a Kurd himself, absolves the MEK of responsibility and proclaimed their innocence in the crimes. Another of the common regime accusations against the MEK centers on allegations it forces Iranians to join its ranks, and once involved with the organization, they are prevented from leaving. This has also been publicly refuted time and time again. Recent visitors to the MEK compound, including high profile European politicians, have confirmed that MEK members are free to come and go as they please. Everything the MEK does is done with the voluntary cooperation of its members, who are highly educated and capable of coherent decision-making. Zucker also mentions the case of Somayeh Mohammadi, whose parents have frequently appeared on Iranian state-run media outlets and argued that the MEK is holding their daughter against her will. Somayeh Mohammadi has frequently denied this claim in public. She has revealed that her father is an agent of the regime and has publicly refuted his claims. 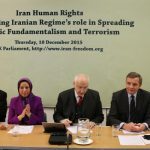 The Rise of the MEK and Overcoming the Regime’s Smear Campaign. The Nazi Minister of Propaganda, Josef Goebbels once professed that to win a propaganda war, you must lie, and lie big. The Iranian regime undoubtedly has that mentality in mind when it uses its affiliates to spread mistruths and falsehoods across international media outlets. 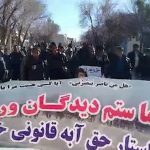 With sights that conjure up scenes from earlier in 2018, farmers from Isfahan province and villages and towns surrounding the Zayandeh Rud River have been making their voices heard in protests on the streets of Isfahan City. Reports from MEK sources inside Iran indicate that the farmers have been traveling into the city to take part in vast protests over the last few days, as they have at several points in 2018, in protest of the regime’s rampant abuse of their water rights. Regime water mismanagement has left the farmers without enough water to cultivate their crops. Despite officials making several promises to address the situation, there has been no resolution to the farmers’ drought problem. However, the news network deliberately avoided all mention of the farmers’ loud chants of “death to the dictator”. In the face of economic ruin and starvation, the farmers’ protests have been intensifying in recent weeks. 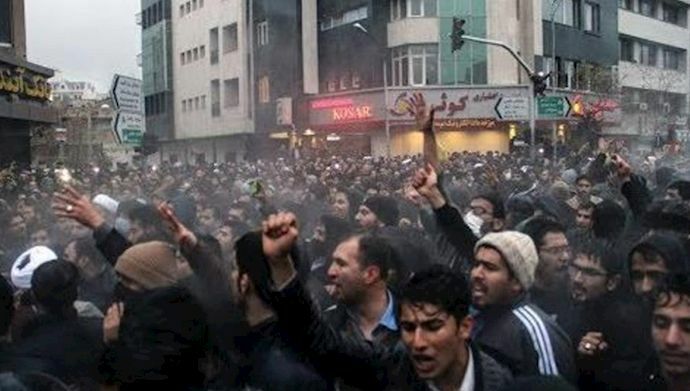 Clashes between the farmers and the Iranian regime security forces have become even more common, often resulting in the death of a number of protestors. 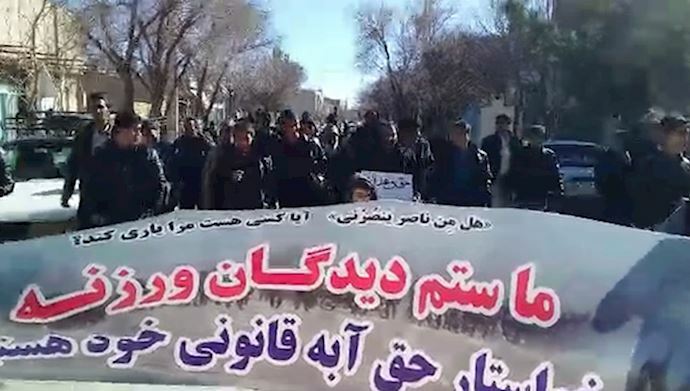 Continuing the demonstrations of farmers in Warzna Isfahan with all their strength in protest against the policies of the mullahs' regime chanting slogans: Greetings to the farmer .. Death to the ungrateful !! We stand and get our rights .. The government has attempted to frame the death of the protestors and the ongoing clashes as a security issue, however, the Iranian people know better. A group of hungry farmers on the brink of economic ruin are not a security issue. 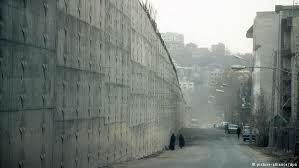 They are a population that has seen their basic human rights deprived by the repressive regime in power. Even Kamran himself has been guilty of abusing the hardworking farmers of Isfahan. He was involved in the arbitrary plunder and the destructive policies that created this mess. But now, sensing the regime’s days are numbered, he is working tirelessly to distance himself from the atrocious policies and side with the swelling tide of protestors. The mullahs’ destructive and dangerous policies have left other farmers with water shortages. Farmers in Khuzestan, Charmahal Bakhtiari and many other provinces have reported crop failures due to insufficient water access. The problem stems from the regime’s dam-building operations that have diverted the flow of water away from the agricultural heartlands. The farmers know this and are determined to show the regime the effects of their handiwork. They shout slogans like, “farmers will die but won’t give in to disgrace” and have turned their back during Friday prayers. The brave farmers are showing the mullahs, much like many other segments of the Iranian workforce, that they will not tolerate the systematic abuses that have been carried out by the regime’s corruption and mismanagement. This rage is bubbling below the surface across the Iranian workforce, but it is begging to break out. The consequences will be nothing short of catastrophic for the clerical regime. The story of the 1988 Massacre in Iran is not an easy subject for a book. There is no happy ending and no resolution for those who were involved. It is not a topic one would usually consider for a graphic novel. 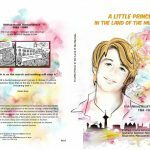 But “A Little Prince in the Land of the Mullahs” manages to tackle this difficult subject matter through the eyes of a young man and his struggle for freedom in the midst of oppression. The book, published by Société des écrivains, is written as a graphic novel, which allows the story of Ahmad Raouf-Basharidoust to come to life on the pages. Ahmad was one of the victims of the 1988 Massacre, in which 30,000 political prisoners, most of them MEK members or supporters, were executed by the Iranian regime over the course of a single summer. Ahmad was born in 1964 to a middle-class family in northern Iran. The story of his childhood is also the story of the final years of the Shah’s rule in Iran, the 1979 Islamic Revolution, and Khomeini’s rise to power. Ahmad began to seek an alternative to the mullahs’ rule as a young man and became an active sympathizer of the MEK. Ahmad was later imprisoned for his political beliefs and, in 1988 he was rounded up along with 30,000 other political prisoners and executed. Ahmad’s story tells an important story about one of the largest mass executions in modern history. 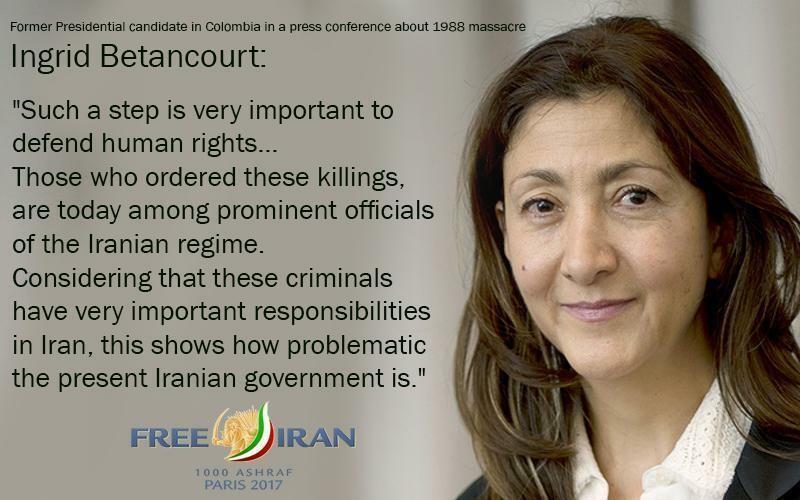 This atrocity by the Iranian regime has never been investigated and its perpetrators have yet to be brought to justice. 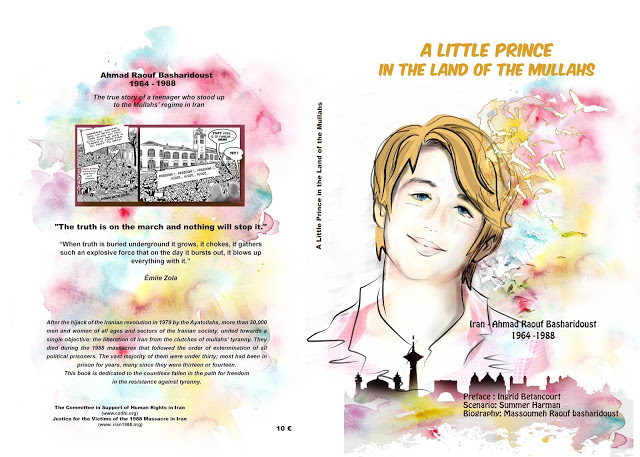 But “A Little Prince in the Land of the Mullahs” is also a story of strength in the face of oppression. An entire generation of Iranians rose up in opposition of Khomeini in 1988, despite the consequences. They spoke out for freedom until the very end. In this time of protest and turmoil in Iran, their message of resistance is more important than ever. The English version published by Centre Litteraire Provancale, here; and the French translation of the book can be found here and here. 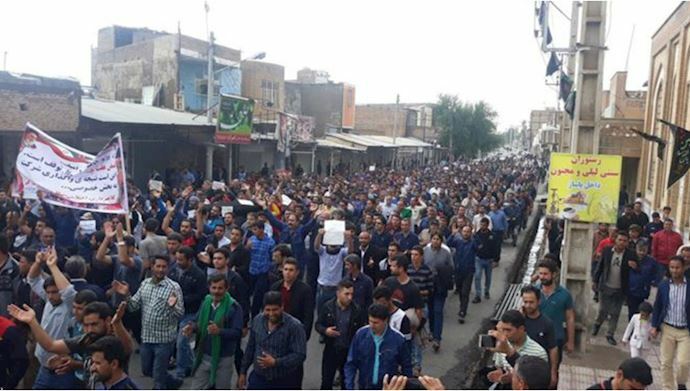 The farmers protest in Isfahan, demanding their water rights has continued despite heavy repressive measure by the Iranian regime security forces. 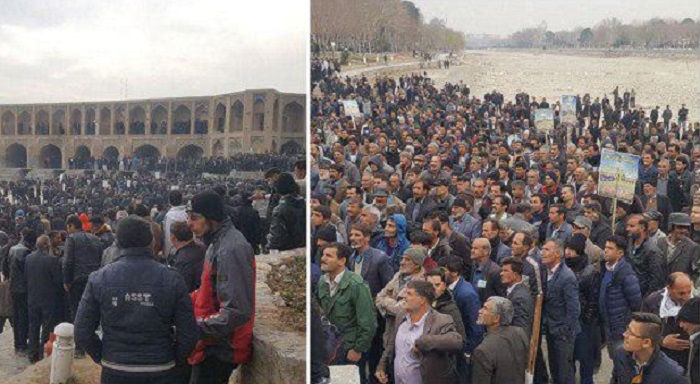 On Wednesday, approximately 2,000 farmers in Isfahan gathered on the Khaju Bridge to demand their rights to water from the Zayanderud River, MEK sources inside Iran reported. 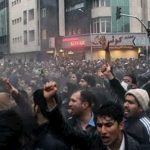 The protest quickly turned violent after riot police attacked the farmers and their supporters as they marched peacefully through the streets of Isfahan. Many of the protesters were women. The regime attempted to prevent the protest from occurring and dispatched riot police, plainclothes agents, and security forces to the scene of the demonstration before it began. They also deployed armored vehicles and water cannons to the demonstration site and attacked the protesters, who included elderly farmers. Internet lines in the area were slowed on the day of the protest, and security forces seized mobile devices to prevent footage of the protest and suppressive acts by the regime from being shared online. Videos posted to social media show riot police clashing with protesters. Further reports indicate that police fired guns into the air to disperse the rally. Several farmers were arrested for taking part in the protest. 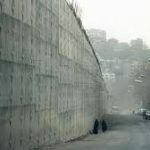 They also booed the police, chanting, “bisharaf,” a Persian vulgarity meaning dishonorable and shouted, “Rapscallion, rapscallion!” at attacking security forces. “Victory comes from the God, death to this deceiving government is a deceitful person! The farmers of Isfahan are angry at the regime because of its construction of dams along the Zayanderud River upstream of Isfahan. The dams have diverted water to factories owned by the regime and IRGC-controlled companies and led to the drying of the river in the Isfahan region. The once-prosperous Isfahan farmers have been left without water to irrigate their crops. Agriculture is the primary industry in Isfahan, so the scarcity of water affects virtually all of the people living in the region. 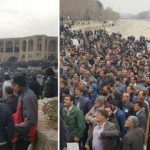 The protesting farmers are demanding that the regime open the Zayanderud River so that it may once again flow to their farmland. They are also protesting against the regime’s failure to follow through on previous promises made to the farmers. Mrs. Maryam Rajavi, President-elect of the National Council of Resistance of Iran (NCRI), saluted the hardworking farmers of Isfahan for their protests against the regime’s oppression and discrimination. In her statement, she said that suppressive forces are trying in vain to stop the protests by deploying suppressive forces, imposing restrictions, and arresting protesters. Mrs. Rajavi called upon the people, particularly the youth of Iran, to support the protests, and said that the uprisings led by the people and the MEK’s resistance units will continue until they are victorious. On January 1st, 2019, Al Arabiya published a retrospective look at Iran’s protest movement in 2018. The piece describes 2018 as “a year like no other for the Iranian regime”. The year began with a vast nationwide uprising orchestrated by the Iranian opposition and the People’s Mujahedin Organisation of Iran (MEK) and “while these protests have vanished from the media headlines, they have certainly not ceased”. 2018 hosted the “most serious and biggest opposition demonstrations since 2009”, “shaking the very pillars of this regime”. The wave of protests that swept across the nation sent a strong message to international onlookers. It exposed the regime’s vulnerabilities and shortcomings and showed that the Iranian people are ready for regime change. Nowhere has this readiness been more visible than in the chants of the Iranian protestors. The Iranian public has showcased their fury with a wide repertoire of chants aimed at the regime and its leadership. “Death to Khamenei” and “Death to Rouhani” have rung out at public protests in 2018. Fuelled by an intensifying economic crisis, the Iranian people have decried regime mismanagement and corruption. Over 80% of the Iranian population now lives below the poverty line. With the rial skyrocketing, unemployment rising, Iranian purchasing power falling, many workers are struggling to put food on the table for their families. While Iranian’s eek out a difficult existence at home, the regime has continued to funnel money to international terrorist organizations, militia groups around the Middle East, and into the mullahs’ own pockets through elaborate money laundering and corrupt practices. All the while, the regime maintains that it is not their own destructive practices and economic mismanagement that is causing the current crisis, but foreign players and Western governments. The Iranian public has shown that they are no longer willing to swallow these lies. Chants of, “our enemy are right here” and “they lie and say it’s America!” have become increasingly common. Chants like “not Gaza. Not Lebanon. My life for Iran” expose the public’s disapproval of the regime’s support for foreign militant groups ahead of its own population. The Iranian regime is right to fear these mounting protests. The 2018 protests brought out segments from all walk of Iranian life, from farmers to teachers, to investors, steelworkers, students, and retirees. Even demographics that have traditionally made up part of the mullahs’ support base have turned their attention to overthrowing the regime. The lower-classes hit hardest by the plunging currency value and loss of purchasing power, are increasingly turning out to protest the regime. 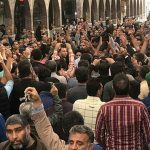 Bazaar workers, that played a central role in bringing the regime to power, have turned against the mullahs, launching strikes and protests to vent their mounting frustrations. With international sanctions biting, this domestic pressure is like a “noose around the regime”. With every protest and every strike, this noose gets tighter. This is evident in Khamenei’s narrative. 2018 saw US sanctions become an increasingly present theme in his public speeches, demonstrating the regime’s concern over economic constrictions. The MEK has also made an appearance in Khamenei’s public narrative. He publicly blamed the opposition group for the January nationwide uprising, and the regime has intensified its smear campaign against the group in an attempt to control public opinion. President Hassan Rouhani even asked French President Emmanuel Macron to take action against the MEK in France, which the French President resolutely refused to do. Nothing demonstrates the effectiveness of the pro-democracy group and the threat they pose to the regime’s existence more than this knee-jerk response from the Iranian clerical regime. 2019 will likely be worse for the Iranian regime. Eight countries currently exempt from the oil embargo on Iranian oil will be forced to stop importing oil from Iran in May. This will have serious repercussions on the mullahs’ revenue streams. The signs of a regime in decline are already present, but 2019 will see these signs play out across the pages of the international media. In the face of such clear decline, international governments will be forced to rethink their Iran policies and the clerical regime will find itself isolated on the international political stage. As the regime becomes more isolated, there will be an increasing number of opportunities for the Iranian people to protest. This, combined with further economic freefall, will bring the winds of change to Iran. This determination will bring meaningful change to the Iranian population and ensure a brighter, more prosperous, democratic future for Iran. If 2018 was a wave of protests, 2019 will be a tsunami, and the mullahs will find themselves washed away.